Take a Break on the Lake! Manistique, Michigan, centrally located in the Upper Peninsula. 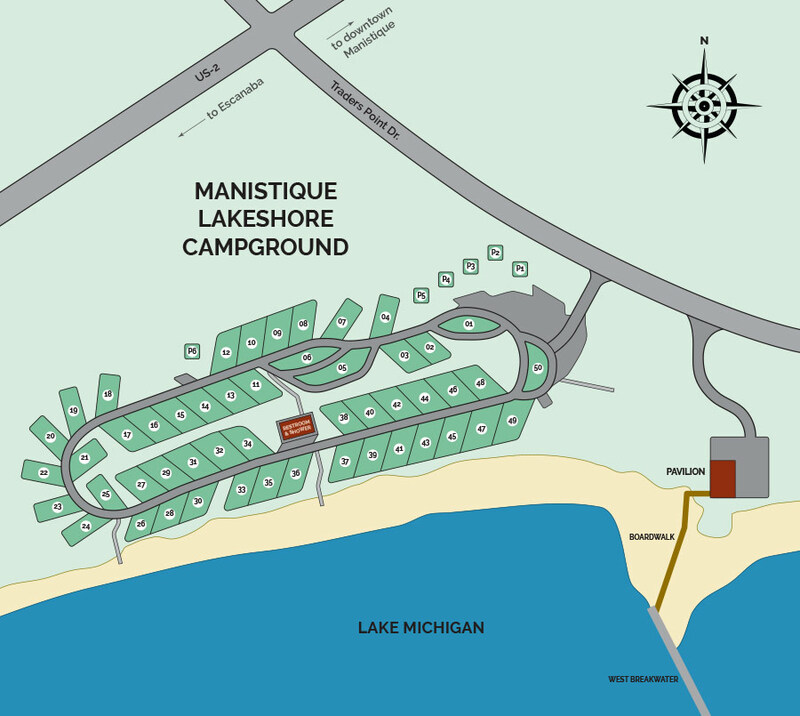 The new Manistique Lakeshore Campground provides the ideal setting for today’s camping experience. Whether you want full amenities with convenient pull-through sites or rustic camping, Manistique Lakeshore Campground has it all. Located on beautiful Lake Michigan, Manistique Lakeshore Campground is within easy walking and driving distance of many unique attractions: Pictured Rocks National Lakeshore, beaches, golfing, lighthouses, waterfalls, winery, Kitch-iti-Kipi (The Big Spring), Manistique Boardwalk and River Walk, and local shops. Manistique Lakeshore Campground offers the perfect family vacation experience. Plenty of space to relax and enjoy what the Upper Peninsula has to offer…gorgeous views and clear air in a relaxed atmosphere. Public gathering areas, complete with pavilion and play area, are available for functions. a one-of-a-kind Upper Peninsula experience. ©2019 Manistique Lakeshore Campground. All rights reserved.